Love your blog. I saw your post on detecting rectangles/squares in images, but I was wondering, how do you detect circles in images using OpenCV? As you’ve probably already found out, detecting circles in images using OpenCV is substantially harder than detecting other shapes with sharp edges. In this blog post I’ll show you how to utilize the cv2.HoughCircles function to detect circles in images using OpenCV. In order to detect circles in images, you’ll need to make use of the cv2.HoughCircles function. It’s definitely not the easiest function to use, but with a little explanation, I think you’ll get the hang of it. image: 8-bit, single channel image. If working with a color image, convert to grayscale first. method: Defines the method to detect circles in images. Currently, the only implemented method is cv2.HOUGH_GRADIENT, which corresponds to the Yuen et al. paper. dp: This parameter is the inverse ratio of the accumulator resolution to the image resolution (see Yuen et al. for more details). Essentially, the larger the dp gets, the smaller the accumulator array gets. minDist: Minimum distance between the center (x, y) coordinates of detected circles. If the minDist is too small, multiple circles in the same neighborhood as the original may be (falsely) detected. If the minDist is too large, then some circles may not be detected at all. param1: Gradient value used to handle edge detection in the Yuen et al. method. param2: Accumulator threshold value for the cv2.HOUGH_GRADIENT method. The smaller the threshold is, the more circles will be detected (including false circles). The larger the threshold is, the more circles will potentially be returned. minRadius: Minimum size of the radius (in pixels). maxRadius: Maximum size of the radius (in pixels). If this method seems complicated, don’t worry. It’s actually not too bad. But I will say this — be ready to play around with the parameter values from image to image. The minDist parameter is especially important to get right. Without an optimal minDist value, you may end up missing out on some circles, or you may detecting many false circles. Ready to apply the cv2.HoughCircles function to detect circles in images? Lines 2-4 import the necessary packages we’ll need. We’ll utilize NumPy for numerical processing, argparse for parsing command line arguments, and cv2 for our OpenCV bindings. Then, on Lines 7-9 we parse our command line arguments. We’ll need only a single switch, --image, which is the path to the image we want to detect circles in. We load our image off disk on Line 12 and create a copy of it on Line 13 so we can draw our detected circles without destroying the original image. As we’ll see, the cv2.HoughCircles function requires an 8-bit, single channel image, so we’ll go ahead and convert from the RGB color space to grayscale on Line 14. Detecting the circles is handled by the cv2.HoughCircles function on Line 17. We pass in the image we want to detect circles as the first argument, the circle detection method as the second argument (currently, the cv2.cv.HOUGH_GRADIENT method is the only circle detection method supported by OpenCV and will likely be the only method for some time), an accumulator value of 1.5 as the third argument, and finally a minDist of 100 pixels. 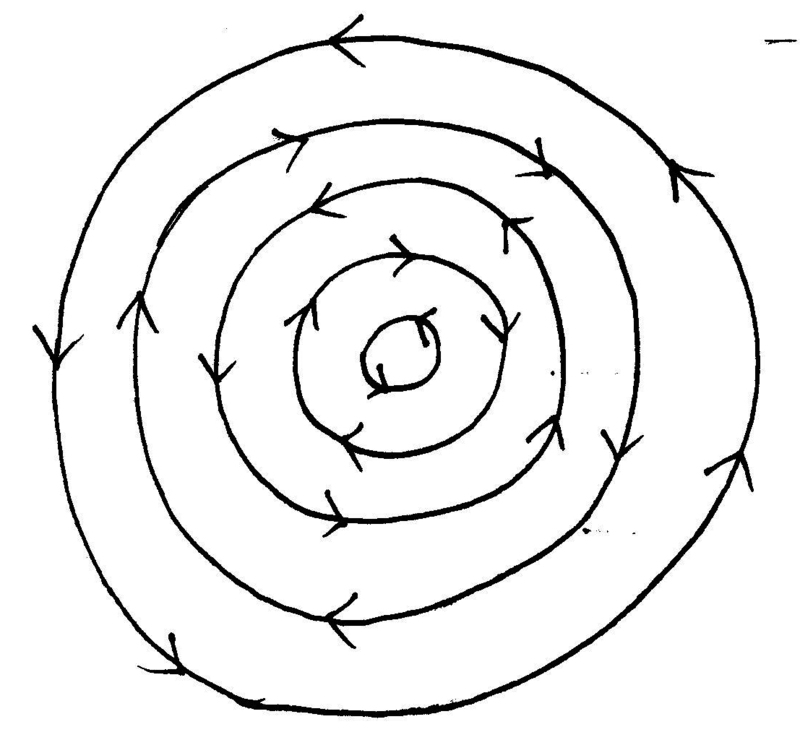 A check is made on Line 20 to ensure at least one circle was found in the image. Line 22 then handles converting our circles from floating point (x, y) coordinates to integers, allowing us to draw them on our output image. From there, we start looping over the center (x, y) coordinates and the radius of the circle on Line 25. We draw the actual detected circle on Line 28 using the cv2.circle function, followed by drawing a rectangle at the center of the circle on Line 29. Finally, Lines 32 and 33 display our output image. So there you have it — detecting circles in images using OpenCV. But let’s go ahead and take a look at some results. Figure 1: Detecting a simple circle in an image using OpenCV. Not bad! Our Python script has detected the red circle, outlined it in green, and then placed an orange square at the center of it. 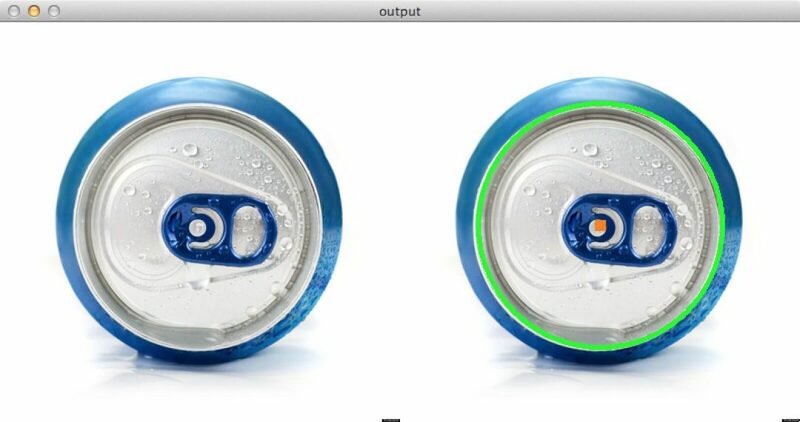 Figure 2: Detecting the top of a soda can using circle detection with OpenCV. Again, our Python script is able to detect the circular region of the can. Now, let’s try the 8 circle problem. In this problem we have one large circle, followed by seven circles placed inside the large one. Since this is a much smaller image than the previous ones (and we are detecting multiple circles), I’m going to adjust the minDist to be 75 pixels rather than 100. Figure 3: Notice how cv2.HoughCircles failed to detect the inner-most circle. Hm. Now it looks like we have ran into a problem. The cv2.HoughCircles function was able to detect only seven of the circles instead of all eight, leaving out the one in the center. It’s due to the minDist parameter. The center (x, y) coordinates for the large outer circle are identical to the center inner circle, thus the center inner circle is discarded. Unfortunately, there is not a way around this problem unless we make minDist unreasonably small, and thus generating many “false” circle detections. In this blog post I showed you how to use the cv2.HoughCircles function in OpenCV to detect circles in images. Unlike detecting squares or rectangles in images, detecting circles is substantially harder since we cannot reply on approximating the number of points in a contour. To help us detect circles in images, OpenCV has supplied the cv2.HoughCircles function. While the cv2.HoughCircles method may seem complicated at first, I would argue that the most important parameter to play with is the minDist, or the minimum distance between the center (x, y) coordinates of detected circles. If you set minDist too small, you may end up with many falsely detected circles. On the other hand, if minDist is too large, then you may end up missing some circles. Setting this parameter definitely takes some fine tuning. Do you have a question about OpenCV and Python? Just send me a message. And I’ll do my best to answer it on this blog. Hi! Great tutorial, I just had a quick question – if I am doing this on Windows and not Linux how would I go about doing the same thing? Or would I have to run this through a windows command prompt? Hi Nick, you would have to run the script from the Windows command prompt. While I’m happy to help, I cannot write code for you. I hope you understand. I only provide Python code here on PyImageSearch. FINALLY! I’m guessing my search foo was lacking, but this is the first place I’ve found a concise walk through of the cv2.HOUGH_GRADIENT method, particularly the MinDist impact… for the past 24 hours I’ve been trying random values to deduce how all this was working. Hi Dustin. Awesome! I’m glad to hear that the tutorial was helpful for you! Thanks so much for the detailed explanation. I used it to detect circles in my Android application when pictures are taken with the camera. It worked fine and saved me a lot of time. Thanks. Fantastic, I’m happy the article helped! What a great time to learn python image recognition. Thanks. Is there an intuitive way to understand the meaning of param1, param2, and dp? Moreover, I am confused because: my images have many circle-like objects, but if I increase the range of radii by increasing maxRadius, I sometimes get fewer circles. Is this something you have seen and could explain? Hi Sofia, if you have many circle like objects and you increase the maxRadius, then you will certainly find fewer circles. The maxRadius parameter controls the maximum radius of a circle. So if a circle has a radius greater than maxRadius, then it will not be detected. I would also take a look at these slides for a more in-depth review of circle detection. I run this code but i got an error in line no 22.It displayed error like IndentationError:expected an indented block.How to run this code without an error.Can you help me sir?.Thank you. Based on that error it looks like your Python code is not indented correctly — perhaps you mixed both spaces and tabs? Sir what do you mean python code is not indented correctly?.In line no 22 you use astype(“int”) that int show in error.If i change int like float,i got the same error.What i suppose to do?. The “int” or “float” is not the issue. The problem is you may have mixed tabs and spaces in your indentation of the code. More information on this type of error can be found in this StackOverflow post. If you can spare the time, brushing up on a bit of Python will definitely help you avoid these types of errors. Sir i am doing my project on human computer interaction.In that i plan to do roak paper sscissor game and arithmetic operation.So i have an hand image which capture from webcam.From that captured image i have to fix center point and contour point.So that only i can detect fingers.Sir can you tell me how to fix these points and how to detect finger from the hand image?.Thank you! Hi Rama, you’ll have to look into the topic of “contour defects” to aide in detecting fingers connected to the hand. It is a great tutorial. Now I want to measure the radius of this kind of “circle”. How can I start? There are different ways to approach a problem like this. You could try more advanced techniques of ellipse detection, those would probably help. Personally, I would just find the contours of each circle, compute the center of the circle, and from there, it’s simple to determine the radius. Line 25 gives you the x, y coordinates of the center of the circle along with the radius. You certainly can, but you’ll have to tune the parameters of the cv2.HoughCircles function, which is not always the easiest task. I would suggest starting by reading this post on accessing the Raspberry Pi camera. Thanks, I’ve tried but have not yet done. what should I do next? The scikit-image package as a more powerful transform that would probably be worth looking into. On this point here – using the raspberry pi camera. What if I wanted to take a photo using the raspberry pi camera and then use cv2.HoughCircles to determine whether or not a circle was present in the picture taken? Is that an easier task than simply detecting circles from a raw stream? A video stream is just a collection of frames. Each frame can be considered an individual image. A video stream can be slightly more complicated due to motion blur as objects move, but the same general process applies. Technically applying circle detection to a single image (provided there is no blur) is easier, but if you can guarantee that in a video stream, it’s just as easy. When I try to detect cirlcles drawn on a paper, it doesn’t work, It can detect circular objects(coins, cans) but not anything drawn on the papers. I blurred the image using medianBlur and in the blurred image only the objects are shown but not any writings. Depending on the input images the circle may be distorted or cannot be segmented. It’s impossible to know without seeing your example images. You may want to try training your own custom object detector. HOG + Linear SVM would be a good first step. Hey!! did you solve it? I need to do exactly the same, and i don’t know how to do that. If you both please can help me, i’ll be very grateful. I’m using a picamera with a raspberry pi B+. You can indeed detect an ellipse/oval region instead of a circle in an image, but it’s a bit more challenging (especially for the algorithm itself). Take a look at the circular and elliptical Hough transforms of scikit-image for more information. You are doing a fantastic job. Your blog has now become my preferred destination to search for any python + opencv feature. I was wondering if you plan to write an article on multiprocessing of images for increasing speed anytime soon. So I want to batch process some images from a given folder and save the output in another folder. I tried using Pool from multiprocessing library but am running into errors. Any pointers? Hey Pranav — thanks for putting this back on my radar. I was planning on doing a series of posts on Hadoop and image processing in the future, but I should start with just the basics of multiprocessing. As for other libraries, you might want to give pp a try. Hi, Cool stuff! I’m trying to make it detect my iris but no luck, even if I open my eyes really wide… Any suggestions? If you’re trying to detect your iris, then I’m not sure circle detection is your best bet. I would try simple thresholding methods (since there will be substantial contrast between your iris and the whites of your eyes) first. ‘module’ object has no attribute ‘cv’. ‘module’ object has no attribute ‘CV_HOUGH_GRADIENT’. I am working within the virtual environment (if that’s the correct terminology). Not sure how to fix this one yet. Thanks. I faced the same issue & changing it to cv2.HOUGH_GRADIENT worked for me. How can we find the radius of circle? Hey Akif — you’ll want to look into the cv2.minEnclosingCircle function. This will give you the radius of the circle. Hi ,I have got another question. I am trying to do iris recognition system.For the last step,I need to encode the normalized image into binary and then,match the encoded images. For encoding,I used cv2.imencode,is this right thing to do? For matching,I could not find what to do. If you are trying to compare images for similarity/match them, you should look into template matching, MSE/SSIM, or even using a distance metric. I can detect circles when I use the sample images you provided but when I try to read other images like this image http://www.clker.com/cliparts/U/D/6/q/l/q/12-color-circles-hi.png , the hough circles return None as the value meaning no circles were detected. The parameters I used were 1.2 as dp and 75 as minDist. Am I doing something wrong? I think I found a solution. It had something to do with the image size. After resizing the image to 300×300, I was able to detect some circles. I have another image with dimension 640×480. I tried resizing it to 300×300 but I believe the circles in the original image would become ellipses once they’re compressed. Is there any other way I can do this? Also does the input image have to be a perfect square dimension image? 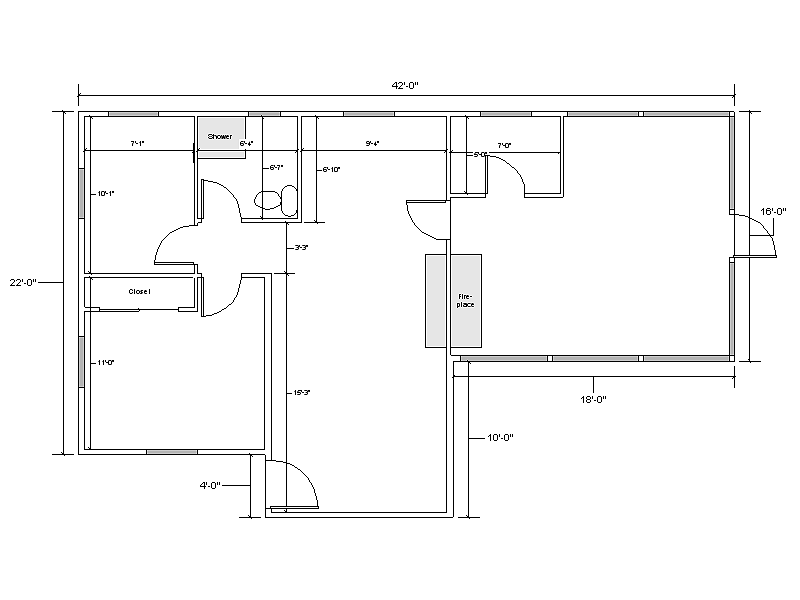 I saw that the sample images you provided all have perfect square dimensions. The images do not have to be a perfect square, they can be rectangular, that’s not an issue at all. Often times it’s beneficial to resize your images and make them smaller before you process them. is there some way to name or number the circles I detect? Not just print the total number found, but place a unique identifier on each one. For instance, if I have an image with 5 circles, can I place a “1” on the first one, a “2” on the second, etc. Will assign the unique index i to each circle in the circles list. I ran the code, but there is a problem. When the circles are moving, for example: a ball, code cannot detect it. Is there a way to solve this problem? I recently started learning raspberry, so an easy explanation is much appreciated. Hough circles is not a good method for real-time video processing. The motion blur makes it very challenging to reliably detect the circles. If possible, you might want to try color based methods or using HOG + Linear SVM. can you explain more about parameter 1 and 2? 1. i am following a ball with this method and point it with laser and servos, to make the “hit” more accurate i need good detection (parameters 1 &2). 2. i try to run it in realtime, the loop time is ~180 ms with resolution of 640X480. thats make the loop time ~40 ms. BUT when running the SAME picture – the biggest picture find the circle just fine and with the cropped image it sometimes find bigger radius detection (with the same parameters). do you have an idea why the processing is different??? It sounds like you want to increase your FPS processing rate. If so, take a look at this post, as well as the posts it links to. Inside I detail how to speedup camera I/O substantially — this will help with your first problem. As for your second question, you’re running Hough circles on a smaller, cropped ROI? This actually does make sense due to the accumulator gradient. See the paper referenced in the blog post for more information. For a deeper explanation of the parameters, review the Yuen et al. paper. This paper discusses the gradient value along with the accumulator. Thank you for this helpful tutorial! I am using this code you have provided to detect petri dishes for a project my lab is working on. I am having a few problems where the code is detecting a circle but it is off center from what I expect and doesnt match the contours of the petri dish. It also detects some circles that dont exist even though my min distance is 1000, which I think is quite high. I am new to image analysis and opencv and generally dont have much clue as to what I am doing, so I would really appreciate some help! It’s hard to say what the exact issue could be without seeing your images, but in general, it can be hard to determine the parameters to Hough circles. You might want to investigate simple contour methods instead using the cv2.findContours function and contour properties to identify circle-like regions. 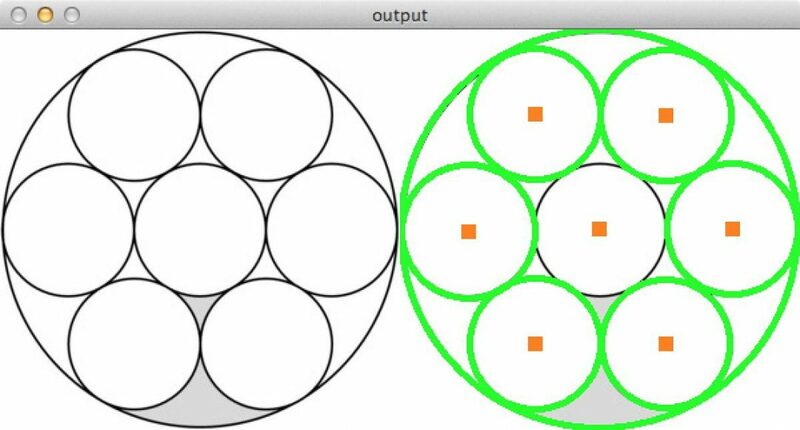 You can also try the scikit-image implementation for finding circles. I have removed your input argument function and provided a direct image to the cv2.imwrite function. Could that be the problem? Because it looks like it is an input error. If you hardcoded your image path to cv2.imread and your image is None, then you’ll want to double check the path you supplied to cv2.imread and ensure that it’s correct. Based on the error message, I can almost guarantee that the path to the image is not valid. Hey Lali — I’m not sure I understand your question. What do you mean by “verify if all circles are detected”? i tried with the change of cv to cv2 since i’m using opencv3.. Indeed, this is an error related to OpenCV 3 (this blog post was originally written for OpenCV 2.4). You can resolve the error by changing cv2.cv.CV_HOUGH_GRADIENT to cv2.HOUGH_GRADIENT. i have a question :if i want to get the coordinate of circle center，what should i do? Take a look at Line 25. The x and y values contain the center of the circle. Hi, when I try to run this code I am getting an error: module ‘cv2’ has no attribute ‘cv’. I have openCV installed. Also, I tried the suggestion on stackoverflow to write import cv2.cv as cv and then use cv instead of cv2.cv but it still doesn’t work. Your help would be highly appreciated. Thanks in advance. It seems like you’re using OpenCV 3 — this tutorial was designed for OpenCV 2.4.X. Just change cv2.cv.CV_HOUGH_GRADIENT to cv2.HOUGH_GRADIENT and it will work. I would like to detect a circle in an image and after that, would have to convert the circle into a rectangular image using a polar conversion tool for rectangular . I’m working on C ++ , Visual Studio 2012, opencv 2.4.13 . The circle I’m managing to find the image but not can do the conversion , someone would have an idea of how to do this ? Thank you very much in advance. I haven’t used a Droid camera before, but if you can access the camera via cv2.VideoCapture, you’ll be able to read frames from the camera and process them individually for circles. thank you so much Adrian , i developed the code , with help of your code, one more help i need how to calculate distance from camera to circle(object) . Computing the distance from a camera to an object is covered in this tutorial. I hope that helps! Where are Param1, Param2, MinRadius, and MaxRadius used in your code? Thanks! Those parameters are optionally/implicitly supplied to cv2.HoughCircles on Line 17. I used the default values. At the moment we are working on a ball-following robot, in which Raspberry Pi, webcam, OpenCV3, Python 3 and 4WD chassis are used. 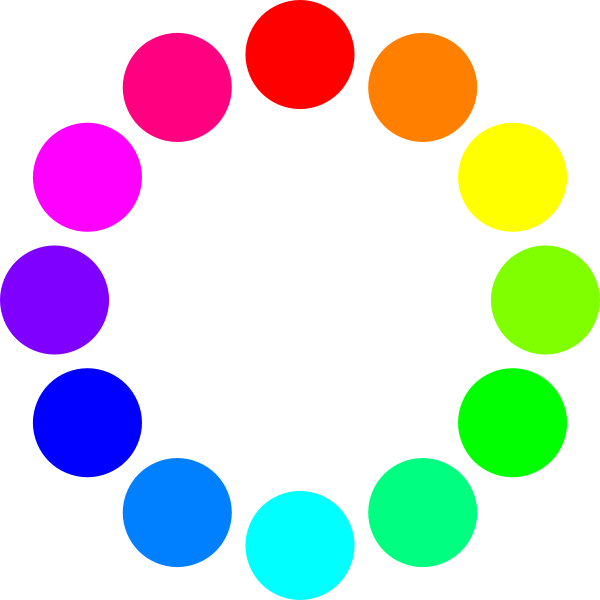 We want to detect any colour and shape, as long as it is circular object. 1. How do we increase the chance of detecting just the one ball? 2. Will image smoothing such as blurring method help in segregating the ball with the background? 3. What is the role of light in Hough method? If the robot light a LED torch towards the ball will it increase the chance of being detected? In general, I wouldn’t recommend Hough circles for this. The parameters are tough to get right, especially in a real-time setting. Instead, I would use something like this tutorial for ball tracking. Such a nice tutorial,So what is the use circle detection in computer vision and navigation, how important is this. Can you elaborate on what you mean by “navigation”? What are you trying to accomplish? where should I put the path of my image? You can put the image wherever you like it — you just need to supply the path to the image via command line argument. I would suggest using the “Downloads” section of this tutorial to download the code + example images and using that as your starting point. If you are getting an error related to “NoneType” right after cv2.imread is being called, then 99% of the time is because you supplied an invalid path to cv2.imread. Double check that the path to your input image is correct. I’m trying to detect droplets in an image. But to start with, I tried executing your code, it worked fairly well for your sample images. But, for my images, it did not work. The cmd simply skipped to the next blank command line. I tried resizing the image size as well. Would you be able to help me with this? My bet is that no circles were actually detected and you need to tune the parameters to HoughCircles. It sounds like your image was not loaded from disk correctly, perhaps due to your command line arguments (i.e., path to an invalid file). Please take a look at this blog post for more information on resolving “NoneType” errors. If I have a Pi camera image, how is a circular detection possible? You would need to access the Raspberry Pi camera and then apply circle detection to each frame. Is it posiible? Could you give me a demostration if you want. 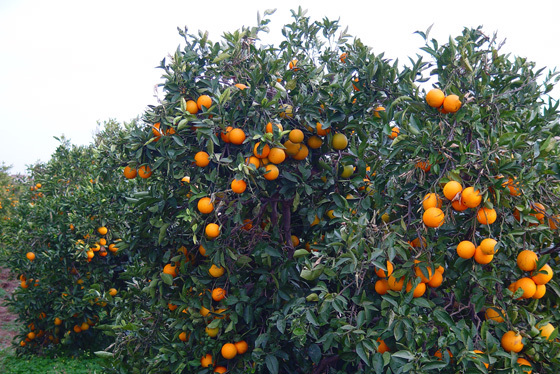 I would use a combination of detecting the color orange with a Histogram of Oriented Gradients object detector. HI Adrian, been enjoying you Practical Python and OpenCV book. It was a great starter. Now I’m trying to combine it with some of your blog examples. In the soda can example above, how would you create a mask for the outside of the circle? I could probably use some sort of fill to paint the outside but I would like to be able to create a mask so I can switch the mask on and off. I would first detect the circle in the image. Then, create a mask for the circle. Then invert the mask. This will give you a mask for the non-circle region of the image. is there any difference if i read image, apply blur, canny edge then houghcircle? I am not getting importance of param1 for providing internal canny? When i used internal canny i was not able to detect circle matrix. When i applied canny first then hough circle, false rejection was reduced. What does it make a sense? It really depends on your input images. If your images are fairly “clean” already you can skip the blurring step. Applying the Canny edge detector further helps clean up the image, giving you only the binary edges. If your edges are well defined, it will improve the accuracy of the circle detector. I am facing some challenges to detect a tennis ball, o you have any tutorial or information related to parameter Tuning ? Hi Mono — instead of using Hough Circles to detect the tennis ball, why not detect the yellow of the tennis ball? That would be easier than working with Hough Circles. I just wanted to ask ,if it is possible to draw a small circle of a fixed radius on all the contours that I have detected? I do not want to find the bounding rectangle or circles for the contours. Pleas sir, help me out. You would simply need to use the cv2.circle function. You can read about the function here. 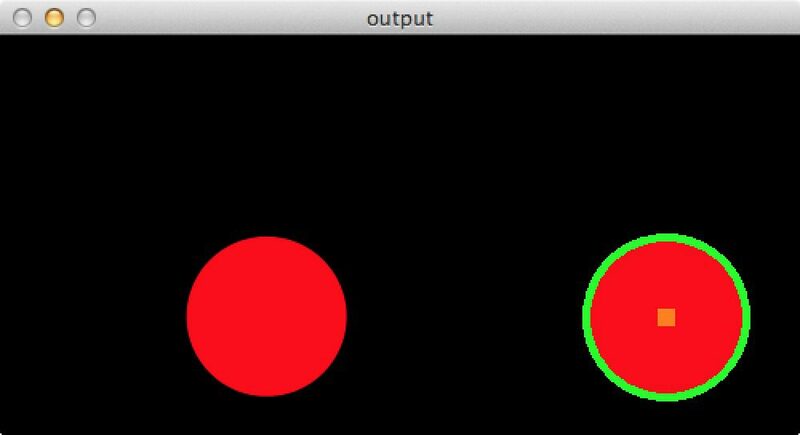 I also cover how to draw circles around contours inside Practical Python and OpenCV. Hey, thanks for the tutorial. I’m working on a project that requires the detection of a specific circle in an image that could potentially have multiple circles. I set the minimum distance between center points (minDist) to be equal to the length of the image so that the function would only be allowed to find a single circle despite the image having multiple circles in it. So I was wondering how the HoughCircles function decides which circle to output. Does it take the one that most closely resembles a circle, or maybe the circle with the greatest radius? The 8 circle example is a good example of what I’m asking. I understand why the function only returned 7 circles but why did it choose to return the outside circle instead of the inside circle? It chooses the outside circle instead of the inside circle due to the minDist parameter. It will also filter circles based on any supplied maximum/minimum radius. I am trying to detect ellipse shaped structures from images. I know there is function for ellipse detection in skimage and I also read your tutorial where you detect different shapes in an image. But my problem is I have images wherein the ellipse are not exact ellipse (like deformed ellipse). These ellipses are cells from some patient data and every patient image will have different size and shape of ellipses. Can it be still detected by hough transform? I tried using hough_ellipse but does not work well. I also tried k-means clustering but do not get convincing results. Do you have some suggestions or tutorial wherein I can detect arbitrary shapes? If the objects you are trying to detect are “deformed ellipses”, then I would suggest extracting contours and then computing the aspect ratio, extent, solidity, etc. These can be used to filter your shapes using a series of “if” statements. An example of using solidity/extent/aspect ratio to filter shapes can be found here. 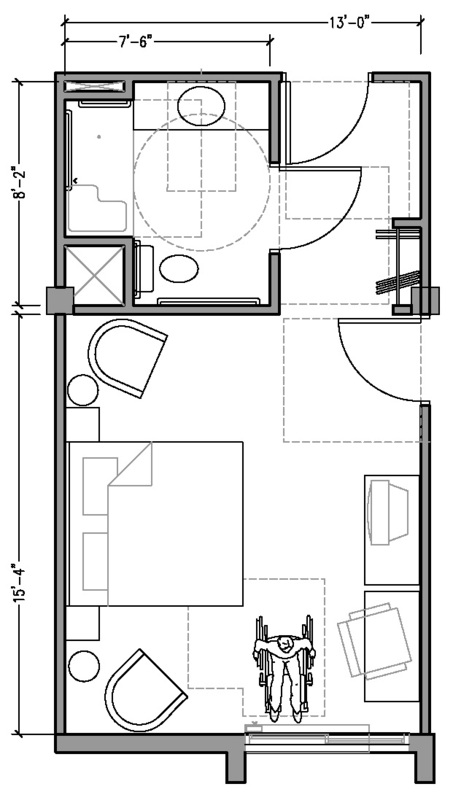 I am matlab developer, are we able to detect doors from following floorplan images using opencv? Hi Rajnikant — I am not a MATLAB user. Are you using me how to solve this issue with MATLAB? Hello, thanks for this awesome tutorial. Since this seems like a great way to do ball-tracking, I’m interested in your reasoning for choosing a different algorithm for your ball-tracking tutorial, and whether or not you think this would be a suitable algorithm for ball-tracking. Thank you in advance! The reason is because the parameters of Hough Circles can be a real pain to tune in a case-by-case basis. Using simple color thresholding was a more accurate method to finding the ball and tracking it. My question is: what kind of filters are helpful when you try to identify protruded circles made from the same material as the background, for example like the top surface of a child’s building block? I tried to convert the image first from color to grayscale, then applied a bilateral filter. I also tried to go one further step by converting the output of the bilateral filter to binary image, but it didn’t help either. The values I used in the code are based on tuning using different combinations of values, till I found out that these are the best match for my image. Appreciate any recommendations to achieve the best possible result. Hi Mohamed — I would have to see an example image of these “protruded circles” to suggest a method. and so far, I am only able to correctly identify the leftmost circle in the top row, & the 3 leftmost circles in the bottom row. I am not sure why the code is not able to identify the other circles, but I assume it is due to low image quality. Is my assumption correct? For low quality images with shadowing (which will be common with Lego images) using simple circle detection will likely be inaccurate. I would suggest using edge detection + contour processing, as detailed in Practical Python and OpenCV. You might also want to consider training a simple circle detector using the framework discussed in this blog post. Hello sir, i would like to tell you that your tutorials are by far the best ones i have come across. It really depends on your particular setup. I would suggest using color thresholding to identify the actual ring to start. This algorithm is not bad when you’ve an image with only circle, but when you’ve an image with many edges, in my tests, it’s not really efficient. There’s a way to made this algorithm more robust? I demonstrate how to recognize shapes based on their contour properties in this post. I would suggest starting there if you have objects that have vertices. If I wanted to do this from a raspberry pi using live stream and not one image, how would the code change? I would suggest starting with this post on accessing the Raspberry Pi camera module. I want to detect the Tyre area in truck image and do color transformation over the area since the Tyre color close with shadow of image so it complicate the shadow removal task. Can you please guide how to detect the Tyre. How can i upload the image for your reference here. Hi Shoba — Feel free to post the images on pasteboard and provide a link here. Hi Adrian, Thanks for your reply but i cannot upload the image using the mentioned link suggest me how to do it. You can drag and drop images into the webpage. If that doesn’t work, try https://imgur.com/. Hi Adrian, Thanks for the tutorial. I just had a question. Will this technique also work if circles in the image has perspective and are not completely in front view? So they are not complete circles and in perspective they will become ovals. Unfortunately no, this technique will rapidly fail once the viewing angle starts to change. The elliptical transform inside scikit-image might be better in this particular case. Can you tell me how to detect a ring or a hoop from any viewing angle?? Was thinking that what can be done to detect the concentric circles? Yes, you can do this with concentric circles. Start with the largest possible radius. Detect the circle. Mask it out. Detect the next largest circle. Mask it out. Repeat until all circles have been detected. i detected the circles but i aslo need to count these circles and print it on consol. i m a beginner in python.. i am confused about argument parsing.. in your tutorial exactly where should i give the path to my image?in help or somewhere else? Hey Amber — it’s okay to be new to command line arguments, we all start somewhere! You supply the command line arguments in the terminal. You do not need to update the code. I would suggest reading up on command line arguments to help you get started. How to crop hough circle?? You can compute the bounding box of the rectangle and apply array slicing to extract it. And can you explain how to adjust the parameters for each image and on what basis? Is there a way to automate this? You might need to tune the parameters to the Hough circle detector in order for it to detect all circles in your images. Unfortunately there isn’t a way to automate this. A more robust method may be to train your own circle detector. hello, the above code is for tracking circular objects like what if we want to track object with different shape? There are a few ways to accomplish this, but mostly dependent on the dataset/project. What types of objects are you trying to detect and track? Hi!….your tutorials are very nice and informative.For my project i want to detect only red circles using raspberry and pi cam.Can you help me? Take a look at this post on shape and color detection. First I would like to highlight how informative and creative are your tutorials on artificial vision, really are very entertenidos and didactic, I congratulate you !. My question is can you count in a video the number of axles of a truck, 2 axles, 4 axles, 9?. I tried it but several inconvenients arise when trying to separate only the contours of the rim, detect several contours or not detect them with the function cv2.HoughCircles. Thank you for the kind words, Juan. I’m glad you are enjoying the blog! As for your question, how are you attempting to detect each set of axels? – I play a video of a truck parade and to this I subtract the fund. – Then I perform two commands for Morphological Transformations (opening and closing) and make the video transmission clear. What happens is that many contours medetectan and only need those that are round to be able to count the axes of the truck (as the view is lateral each tire detected would represent an axis). – Then I would like to do it like in a tutorial of yours, I could observe how the trajectory of a green ball was followed and this is adapted for the black colored tires; The problem is that the tire color does not always have the same intensity and the circle on a trowel is not uniform, it’s like a kind of washer. With the function cv2.Canny (gray, 200, 300), I see well-defined circles in the transmission of the vine but I can not detect only the circles to follow them visually in the video. This I want to do is a hobby way to learn. Thank you for sharing the details Juan. I get the idea of what you are doing but it would be helpful to see some visuals. Would you be able to share any example images? I’m having trouble detecting circles in other images. The images “simple.png”, “8circles.ong” and “soda.png” work. But when I try to take a picture, it does not give a damn. The program ends immediately. Hey Mike — it sounds like you’ll need to detect the parameters to cv2.HoughCircles. The function can be a bit of a pain to use. Depending on your input images you may need to utilize machine learning to train your own circle detector. Thanks a lot Adrian. Very well explained. So now I’m totally confused: why it is called “gradient”? Unfortunately for the Hough Circles function it’s a trial and error tuning process. hi thank you so much about topics . i have a remark about topics the HoughCircles algorithmes it s iterative one . here it s easy because the background its monocolor but if you try with balls and multiple color the algorithme its less accurate. you will see its hard to detect the circle shape. You are correct, once you start creating more complex backgrounds Hough Circles will fail. For more complex objects you may want to consider training a custom object detector. For well defined shapes such as circles HOG + Linear SVM would be a good start. This tutorial is a great help. However, as a beginner in python programming, may I ask for help on how I can create a 2d and/or 3d graph using the centers of circles as coordinates? I’m not sure what exactly you’re trying to graph, but matplotlib tends to be a good library for plots and graphs. May I ask for help on how I can store all the coordinates of the centers of the circles detected? Store as in write them to disk? You could use a CSV file, text file, JSON file, or whatever file format you wish. All you need is simple file I/O. If you’re new to Python and programming in general I would suggest reading up on Python basics before continuing. What does “capture” mean? Save a single frame to disk? Save a video clip? Hi, Is there any ways to find the intersection points of two detected circles using the x,y and radius of those 2 circles. I am trying to extract features from a 2 set Venn diagram therefore there intersection points are needed. Hi, Are there ways to store the detected circles to separate variables? Hey Zamra, I’m not sure what you mean by “separate variables” — could you elaborate? Could you post a simple example of how to use the MinRadius and MaxRadious parameters please? Are you executing via the command line or via a Python shell itself? Try executing the script via the command line. You can use the “cv2.imwrite” function to save an image/ROI to disk. I want to measure the multicircles.its just like an example .. olympic rings are not interlinked.is it possible. What specifically are you trying to measure? Just the size in pixels? Or the size in real-world measurement units? Hi, could you share a c++code with this same functionnality please ? Sorry, I only provide Python code here on the PyImageSearch blog. Thank You for this awesome tutorial once again. I am trying to identify one circle from an image in which the circle is not completely visible. Assuming a set of images where this circle is at different positions I am trying to identify them and align them all together. However using the parameters across the set of images, I am getting that circle of interest identified but the sizes of it is varying despite the circle in the original images are of homogeneous nature. Could you please let me know what would be the case here and what I should be looking at to get this corrected. Do you have any example images of what your input and output look like? It’s a bit hard to give any suggestions to this problem without seeing them first.